C and C Corp | Used plastic injection moulding machine C and C Corp. Please Call us! for any used Machines! Our office will be closed from April 28th to 29th, and May 3rd to 6th 2019. We will resume working from May 7th. During the period, no employees will be able to take your inquiry either by phone or e-mail. We will reply to your e-mail, phone call or fax after May 7th. We are sorry for any inconvenience this may cause. C&C was established in 1964 and we have a history of over 50 years. What we focus the most is "Reliability". We cordially support you for any small questions or requests regarding machines. 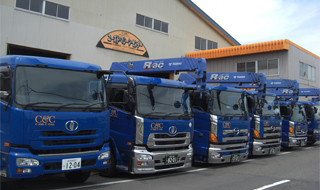 If you would like detailed information of a machines such as price, specification or more photos, please e-mail us at info@candc.ne.jp.Please feel free to contact us! ©2007 C AND C Corp. All rights reserved.